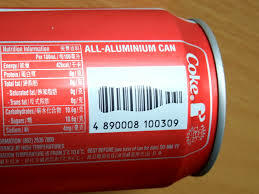 It is a 13-digit bar code standard. The EAN-13 barcode is defined by the Organization of GS1 standards. The numbers encoded in EAN-13 are product identification numbers. The EAN-13 symbols, is the only one that all point of sale will be able to read through optical systems. Enrollment in the bar code of a company and its products is a consolidated worldwide trend. This system allows to the companies and their products entering the market with great benefits for all members of the distribution channel, from the manufacturer to the end consumer. Using the coding system for the bar opened, to the producer, distribution channels, which would not agree without this requirement, such as supermarkets and hypermarkets, among others. It also places it in a position to compete and market their products in international markets that are managed with this approach of coding, allowing you to expand its production capacity and improve its economies of scale. The second beneficiaries of the use of the bar code in the marketing chain are distributors and retailers, that by having a single language for all its products, achieve a more efficient management of their prices, their modifications, maximum and minimum stock.